Got a geology story to tell? ESRI's StoryMaps might be just the platform you are looking for. 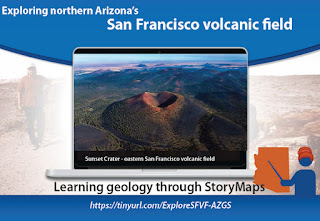 You'll find the entire blog text and pointers to a new USGS StoryMap on North America's mid-continental rift episode at http://blog.azgs.arizona.edu/blog/2018-01/storymaps-brave-new-tool-geoscience-outreach.